In our video series, we are going to cover a number of strategies to get picky eaters to eat a larger variety of foods… and dare I say it, more vegetables! Feeding My Kid is dedicated to helping parents impact their child’s life-long eating habits through tips, videos, and recipes. Let’s turn around your picky eater into an adventurous foodie together! Subscribe to our Youtube Channel for our video series about how to best feed your baby, toddler, and school-aged child. 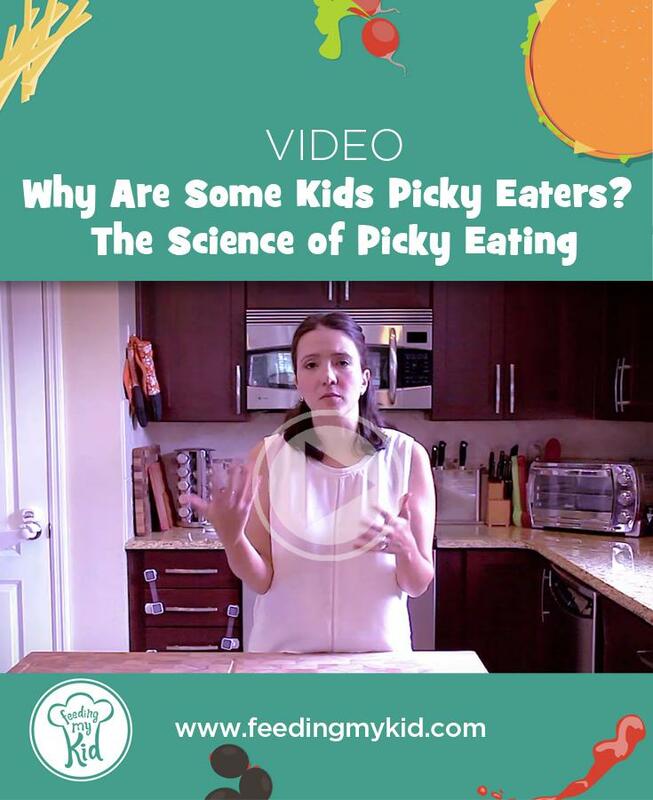 We will continue to produce videos to help you turn picky eaters into an adventurous foodie. The video helps you understand why some kids are picky eaters and others are not. 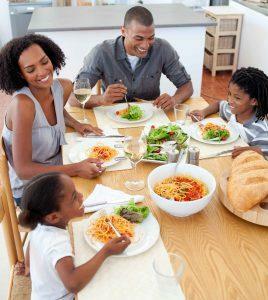 Check out the article Change how your kids are eating at home. Modeling is incredibly important. Don’t model picky eating, if you don’t want a picky eater. We all have likes and dislikes by now, but it’s important not to pass them on to our kids. Let them figure out what they like and don’t like without your influence. Don’t openly share your dislikes in front of your children. And, prepare foods you don’t like so your child has a chance to be exposed to it. Make mealtimes fun and enjoyable. Leave your frustrations and fights away from the table. Meals should bring a family together. It’s amazing how important it is for families to eat together. Studies show that kids will eat more in social settings. Don’t label yourself or your little one as a bad eater, picky eater, fussy eater, etc. People live up and down to their labels. options that the whole family is eating. Do NOT allow yourself to become a short order cook. I’ve caught myself doing this. All of your kids must eat what you made them. I’ve found it is a good idea to offer a few different sides to ensure that the kids have a choice between a few different healthy options. This ensures you have at least one safe item on the table. They can have their genuine dislikes of food and that’s ok because I provided them with a few options. For example, I will make cauliflower casserole and green beans with bacon. They have two great options to choose from, plus, the main course. My kids are obsessed with peas and they only take a few minutes to make. Kids have small stomachs so make the calories count. Don’t let them fill up on filler foods like crackers, pretzels and pasta, which don’t add a lot of nutritional value, but are filling. On the other hand, don’t get so hung up on every calorie or if they are eating from all the food groups at every meal. It can make you crazy and studies show that overall kids don’t eat as well when the parents are too focused on hitting the food groups at each meal. Researchers show that it all evens out throughout a 30-day cycle and that is completely healthy. Don’t pressure your little ones to eat. Studies show that this actually makes them eat less and they will actually avoid the foods you are emphasizing. Have you noticed they do the opposite of what you are coaxing them to do? There is study after study about this. Be completely neutral about food. 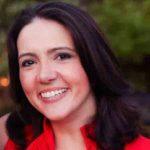 Check out this article about not passing along emotional eating to your kids. It’s your job to provide nutritious and yummy food and it’s your child’s job to eat as much as their bodies need to grow. This teaches children to self-regulate, which is a life-long skill! Eating too much is also not a good thing with kids. Studies also show that the more attractive the meal is, the more your kids will eat it. Make the food yummy and attractive. Avoid bland foods. No one likes them, not even kids ? If they don’t eat, DO NOT let them snack afterward. It just reinforces they do not need to eat their meal because they will get a snack later. Find out why it’s important for a child to get hungry before a meal. You’ll need to gauge this one based on the age of your children and their communication abilities. Generally, around three years old, children can better understand natural consequences. And, yes, it’s ok if your kids are a little hungry. We are not talking about neglect, just the natural consequence of not eating the meal you prepared for them. Typically, if children have a small breakfast or lunch they’ll probably make up for it at dinner time.